Sampleroom is your online store where you can get free samples from your favorite brands or new brands that you are interested with. Their famous tagline "TRY IT BEFORE YOU BUY" perfectly fit because all items available with them are for FREE and the only thing you will pay is your Shipping Fee. I got my first purchase last 2017 with them but I become more active this year and that's why I have some products to haul today. It wasn't that much and I don't have the whole list of the things I bought with them but here are some of the products I got and also I'll gonna share with you some of my favorite products and the 6 things I love about Sampleroom. I have a complete pack from body & skin care and also with hair care. My favorites were the Himalaya Herbal Facial Wash and Scrub. I got 3 flavors with them, (1) Apricot Scrub, (2)Aloe Vera Facial Wash and (3) Licorice & White Dammer Facial Wash. Among the 3, the product that complement my skin type which is oily skin, is the Himalaya Herbals Purifying Neem Face Wash - Aloe Vera Facial Wash because it really moisturized my skin and I got lesser acne breakout. 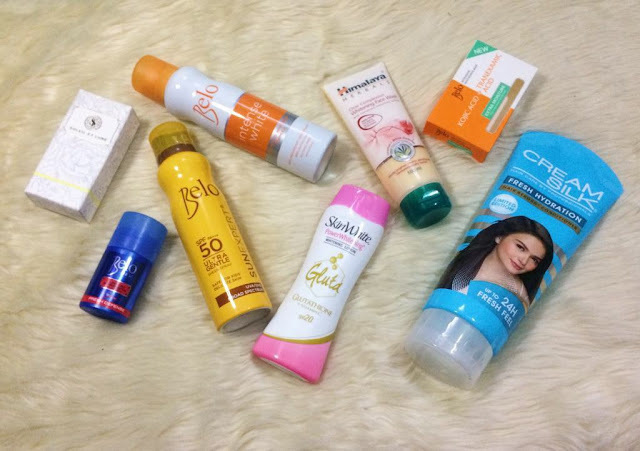 I also got the New Belo Intensive Sun Protection that I use when we went to the beach last summer. I got it in FULL SIZE. That's is the advantage of getting your VIP with Sample Room. You got more products with them and in full sizes. I'll make a separate blog about how you can get the SAMPLEROOM VIP MEMBERSHIP. Some of the products I got was given to a friend, family and to my boyfriend to try them too. Some of the things I share with them are the Belo Kojic Intensive White skin care set. It includes the Kojic Soap, Toner and Night Cream. I also give the Bambini Baby Cologne Set as a gift to my friend's kids. For my boyfriend, he try the Bad Lab Facial Wash, Shampoo and shower gel. Offer Free Samples to try from our favorite/new brands we love in different Sizes. Familiarize/Understand more about my skin and hair. since we are required to review what we bought, we become more attentive and have keen observation with our skin/body reaction to certain products and in that way, I be able to understand more about what is good for my skin. Save my Blog. 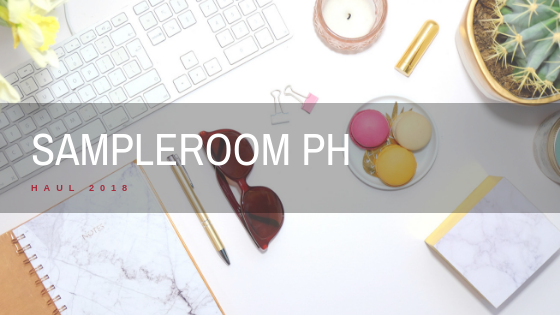 I have that moment when I have nothing to write about and through sampleroom sample products, i be able to write a review to update my blog. Meet new friends because I shared YOU with them. I really used my referral to recommend you from other people so they could get free sample and try it before them buy it. 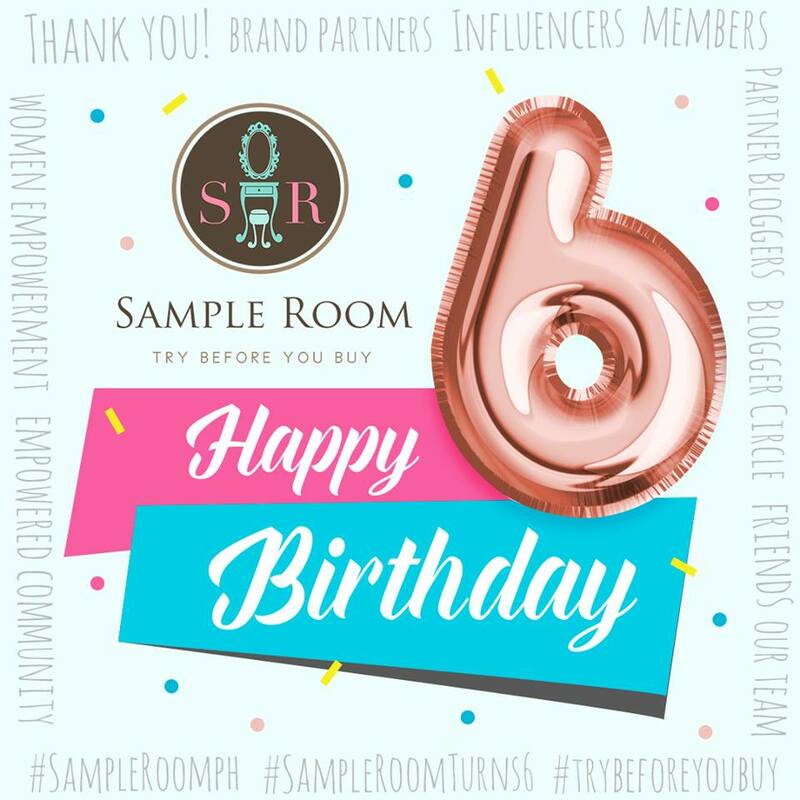 Sample Room has turned Six today and as part of their celebration there are BIG BIG SUPRISES coming up but first, let me share by biggest gratitude as one of the Sample Room User. Thank you for all the blessing you share with us. Thank you for you free samples. 😊 And thank you for saving us from buying products that might turn to waste because we don’t like it or it wasn’t best for my skin or so. Thank you! 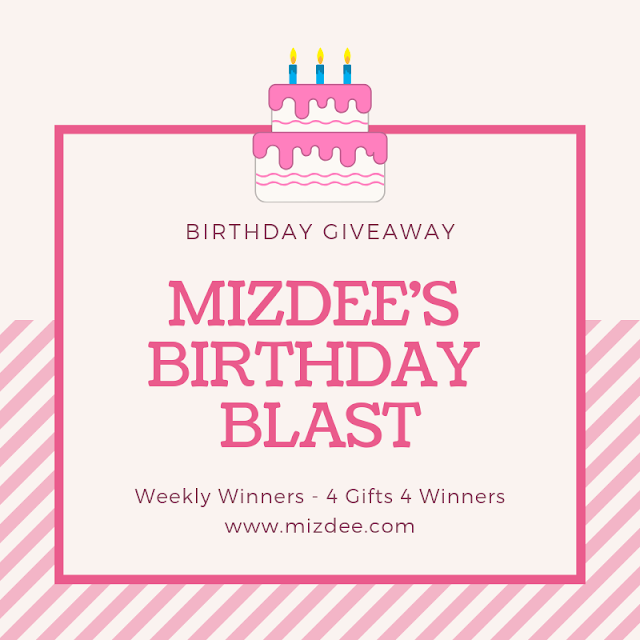 To get updated with their latest giveaway and products you can follow them on their facebook page - Sample Room ph or If you want Free Sample and free shipping be part of our family at fb.me/itsmemizdee. I want to hear something from you. How? Just comment whatever valuable thoughts you want to share with me from this post. Thank you!